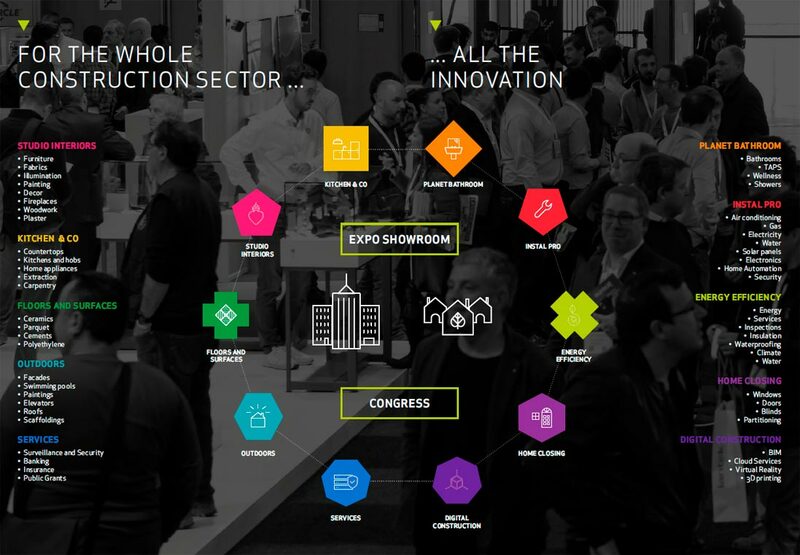 Rebuild Showroom & Congress Rebuild 2018, an unique platform of innovation for the consctruction sector. If you do not want to stay behind you can already reserve your space to exhibit in Rebuild 2018. REBUILD is a unique platform of innovation to invigorate the sector of the rehabilitation, the reform and the energy efficiency of houses and buildings. It is a place where the professional of the sector is provided with a specialized environment where to find the latest products, materials, solutions and services. REBUILD is the platform for manufacturers and distributors to identify. Projects and housing stock to be reformed or to be implemented soon. Present their novelties, products and innovations. Communicate and associate as a partner in the framework of construction and rehabilitation. Meanwhile, will take place the National Congress of Architecture 4.0 and Advanced Construction, a space to discover new materials, the latest emerging technologies and the most innovative construction systems.